LEFT TO REACH OUR $40,000 GOAL!!! Thank you dearly for your continued prayerful support and donations. You are each an integral part of this ministry and you all have your own unique talents and abilities to contribute to Zera House. Thank you for being willing to use the gifts God has given you to further His Kingdom. As we wrapped our successful Miles For Survivors Campaign, we ran a tee shirt fundraiser. Thanks to everyone who purchased shirts and we hope you love them as much as we do! Also, with Ariel being back home in West Virginia, our Boujee Boutique is back up and running and already working on custom shirt orders. Now that Ariel is officially back in West Virginia, she is working hard with the rest of the staff and visiting teams to get the Zera House and staff house ready to go for our target opening this October. We have several teams lined up to work over the next several weeks and can’t wait to see the progress that will be made. We are receiving such an influx of donations ranging from clothes, bed linens, new faucets and shower heads, décor, toiletries, and so much more. This is going to be real HOME for these women to come and heal. We are officially beginning the search for new staff members at this time. We are looking for House Mom’s and Resident Assistants and we have included the job descriptions and qualifications in this email. Please be in prayer that God will direct the right women to Zera House to fill these positions. This is an exciting step as we realize how close we are getting to opening the Zera House doors. 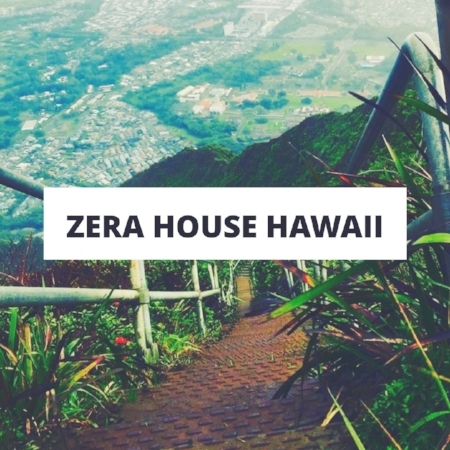 In addition to our West Virginia progress, we’d like to tell you about a future goal of Zera House. As you are probably aware, West Virginia isn’t the only location we want to establish as our organization grows. Ariel has long had a desire to expand to Hawaii—a huge trafficking hub. When Ariel and team member Jalyn first met, it was obvious that God had set up this divine appointment, because Jalyn shared the same dream! With this being said, God has started opening doors for our Hawaii expansion much sooner than expected (not complaining! ), so be in prayer for the Hawaii progress as we also continue to work diligently on our West Virginia homes. As our team grows, so do our needs. We are searching for a computer for one of our team members. Our Social Media Manager, Hannah, recently had one donated so she could continue the awesome work she does. Now we’re in need of another. Most of the team operates on MacBooks, so Apple is preferred. If you have a well functioning computer you no longer need or would like to donate a new one, please contact info@zerahouse.org. We have non-cash donation receipts available! We have one final, and very exciting, announcement! Hannah (Social Media Manager) has recently welcomed our newest—and tiniest—Zera House team member, Odin! Mom and baby are doing great and the family is adjusting well to life with their new addition. Praise God for His awesome blessings! While Hannah is recovering and enjoying precious baby snuggles on maternity leave, Jalyn has taken over our social media efforts. We are so grateful to be working alongside each of you to further God’s Kingdom!